After seeing quite a few leaks, Acer just made its Liquid Metal handset official. 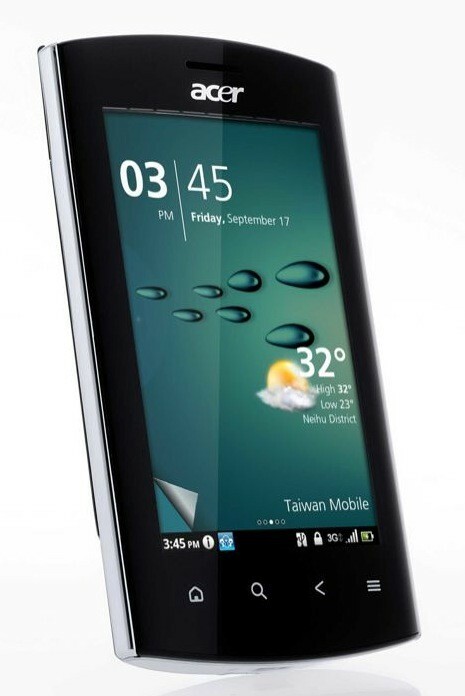 The 3.6-inch slate runs Android 2.2 Froyo atop an 800MHz Qualcomm MSM7230 processor. Inside all that molten metal you'll find 802.11n WiFi, support for 14.4Mbps HSDPA, DLNA/UPnP streaming support, Dolby Surround technology, and an image stabilized 5 megapixel autofocus camera with LED flash capable of recording video at 720p (30fps). Acer's new handset also features a new Breeze UI and SocialJogger app that aggregates Twitter and Facebook feeds. Look for it to land in brown in the UK starting mid November for £299. A silver version should arrive in early December. Still no word on that AT&T compatible jobbie that passed through the FCC. One more image and the full press release after the break.